The Audi range has been missing an RS3 Sportback lately with the new RS3 Saloon taking most of the attention. But now the RS3 Sportback is back and it’s bringing 400 horses with it. The RS3 Sportback is scheduled to make its full debut at the Geneva Motor Show on the 7th of March. It offers an appealing entry to the RS world for many drivers, boasting the worlds most powerful production 5 cylinder engine. The 2.5 Litre Turbocharged unit produces 400BHP, 33 more than its predecessor and the engine is also 26kg lighter thanks to weight saving changes such as an aluminium crankcase. As you can imagine with a max torque of 480 NM it rockets off the line just fine and with the assistance of the quattro drive system it achieves a 0-62mph in just 4.1 seconds. Testing that time also lets you enjoy another great feature of the RS3, the bellowing roar from the five cylinders which nicely accompanies the twitch of your right foot. The top speed is limited to 155mph but you can get the limiter optionally raised to 174mph, a choice which I’m sure a lot of customers will go for. 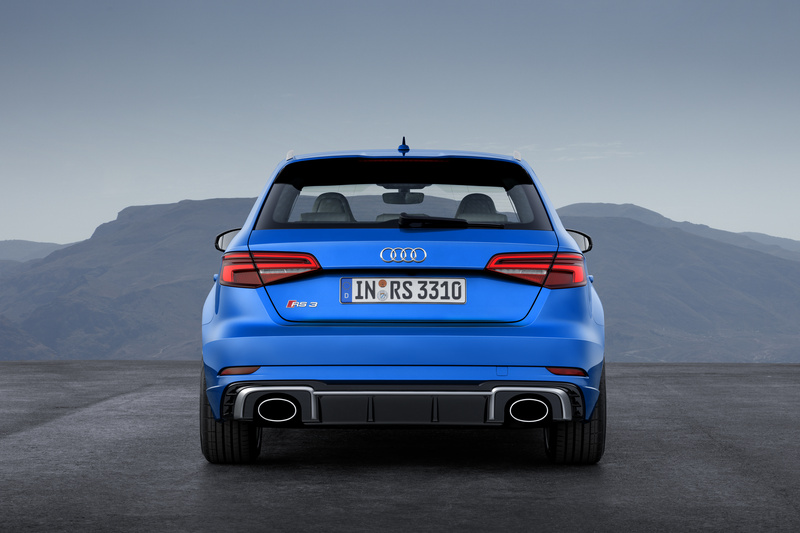 The unmistakable rear end of the RS3 Sportback. All of this means that the RS3 is the world’s most powerful Hot Hatch, stealing the trophy from the Mercedes-AMG A45 by 19bhp. Although we’ll gloss over the fact that the 0-62mph time is only 0.1sec quicker. So what else does this pocket rocket have to offer? Well all the RS styling, is present and accounted for. The dominant honeycomb grille at the front is flanked by two large vents to give the front of the car an aggressive and sharp persona. Whilst the rear features a roof spoiler and diffuser. With the two oval exhausts present again, maintaining there position as a staple of the modern RS range, and a personal favourite of mine. There’s also a racy RS screen which will display torque, g-force and tyre pressure readings alongside Audi’s virtual cockpit. 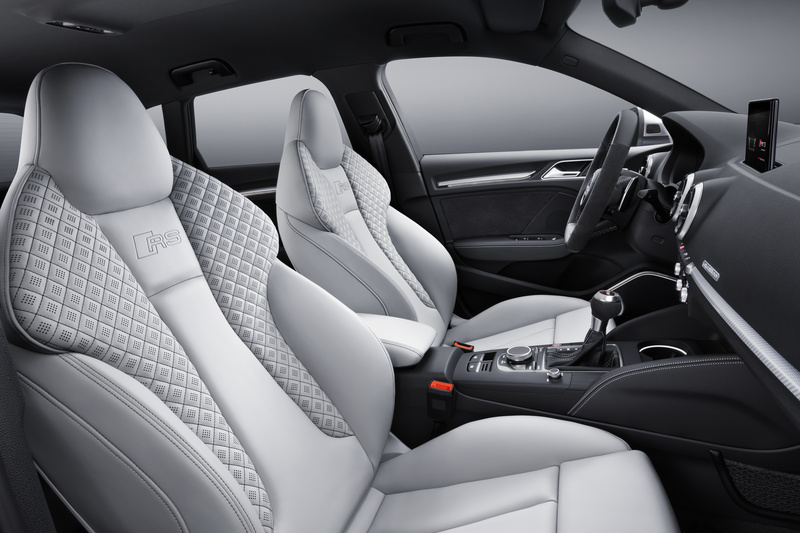 The interior also features some leather finished sports seats and a flat-bottomed RS badged leather steering wheel as standard. There are lots of differences between the S3 and RS3 but besides some of the styling the difference which has the most impact when I see any RS car on the road is the sizing. The RS version of any Audi always hugs the tarmac and has a villainous stance on the road. That is definitely true of the RS3, it sits 25mm lower than the S3 and is 20mm wider, these changes are complemented by the 19inch alloys and 310mm brakes front and rear. With front ceramic brakes as an option. 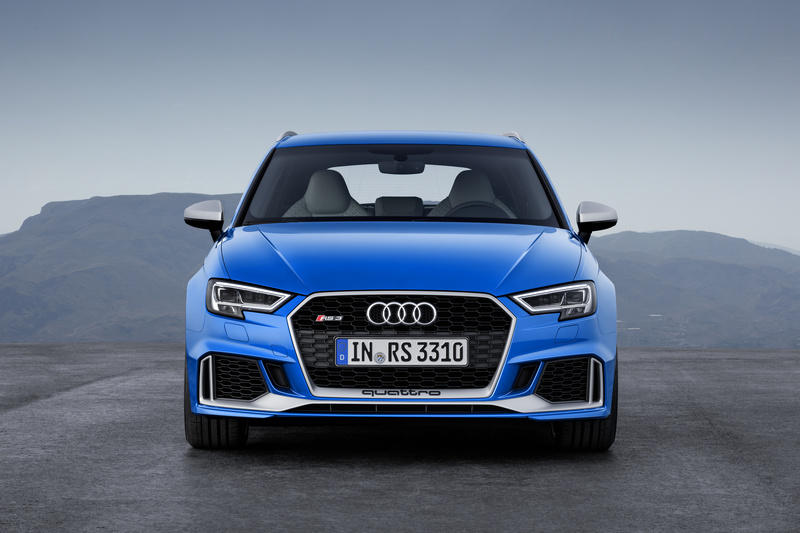 After the Audi RS3 Sportback is released at the Geneva Motor show in March we will have more details about pricing, although it is estimated to cost around the £46,500 mark. Orders will be taken from April and it will launch in August. With a combination of practicality, power and precision I’m sure it will prove to be very popular addition to Audi’s range. We will have to wait and see though I have a feeling it won’t be long until we all see an awful lot of these on the road. 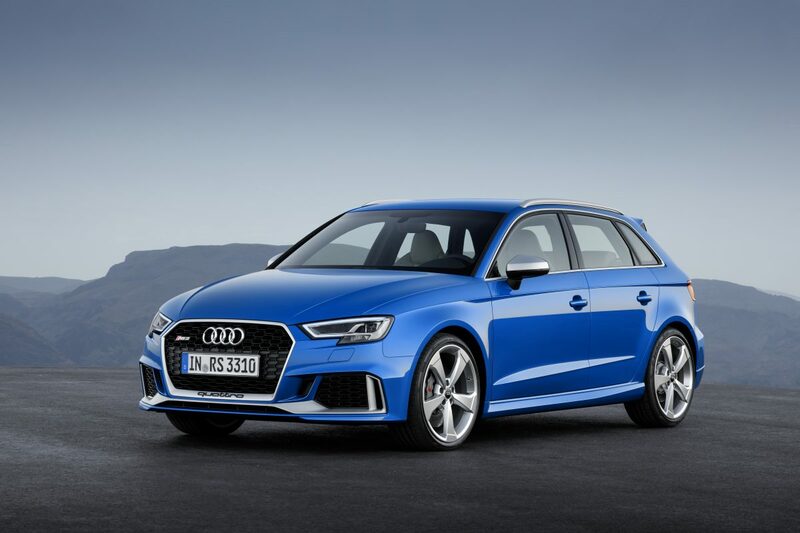 This entry was posted in Articles, Audi News and tagged 2017, audi, RS3.